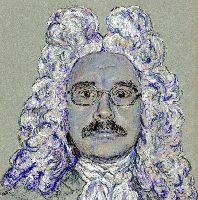 François Couperin was the most important member of the illustrious Couperin family and was one of the leading composers of the French Baroque era. He is best known for his harpsichord works, all of which are found in the collection of more than 220 pieces entitled Pièces de clavecin, consisting of four books. His music showed the influence of Lully and incorporated elements from the Italian school. Indeed, both these sources would be acknowledged by Couperin himself in two chamber works, Apothéose de Corelli (1724) and Apothéose de Lully (1725). 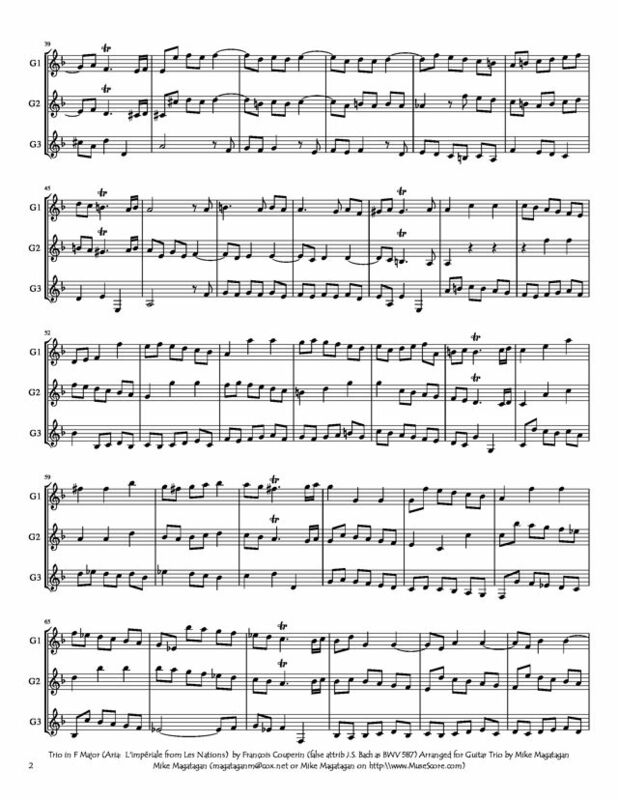 Moreover, he successfully integrated the French and Italian styles in his Les goût réunis ou nouveaux concerts (1724), a collection of chamber compositions for unspecified instruments. 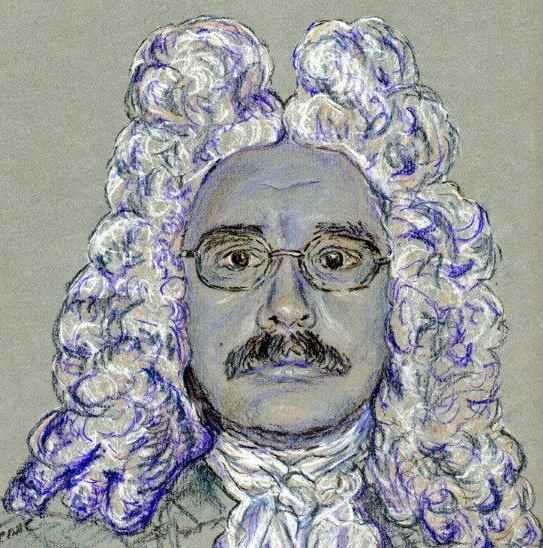 Many of his works were lost to posterity, as none of his original manuscripts has survived. 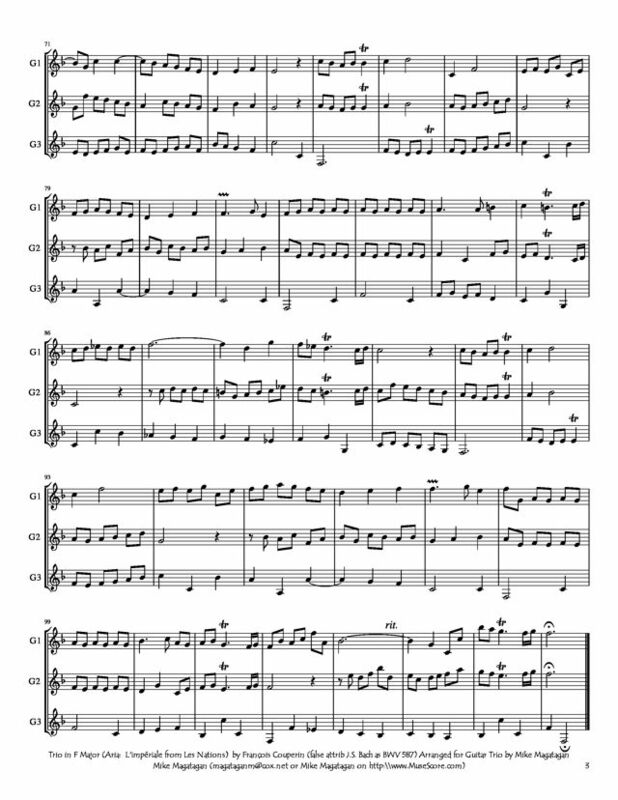 This barely counts as a Bach composition, for it is a very straightforward transcription of the fourth movement of the trio sonata L'impériale from François Couperin's Les Nations. It is not even certain that Bach made the transcription himself, but if he did, it's likely that he fashioned this version around the same time he was writing his own trio sonatas for organ -- suggesting that he would have had to have gotten his hands on Couperin's original shortly after its 1726 publication. This is basically a da capo aria in its simplest ABA format. If the easily loping A section were just a bit less brisk, it would sound pastoral. One of its principal features is a repeated two-note motif, which is doubled to become the basis of the freely ornamented B section. 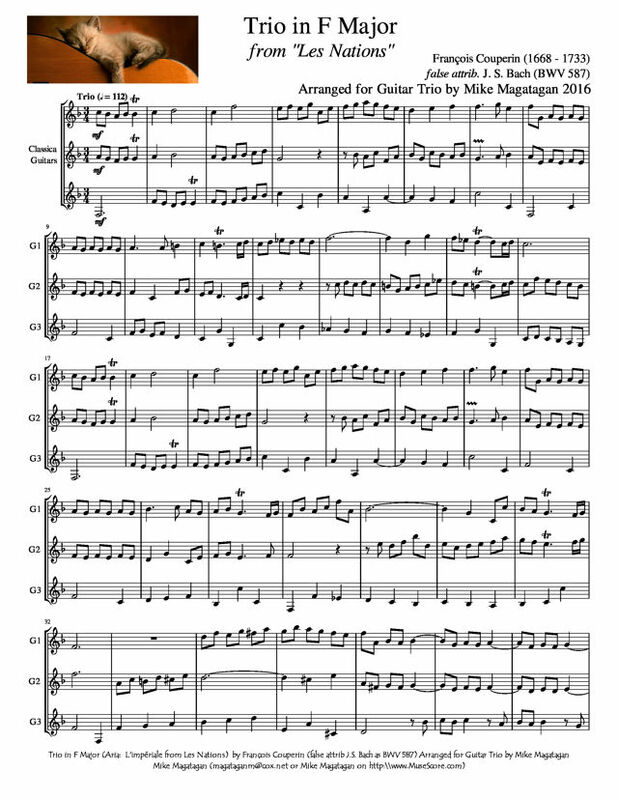 I created this Arrangement of the transcription of the fourth movement (Aria in F Major) of the trio sonata from L'impériale (BWV 586) for Guitar Trio. 1 scores found for "Trio in F Major for Guitar Trio"